A tour that heads to two small islands in the area of Reykjavik Bay, this tour heads in a charming old wooden boat ‘Skulaskeid’ (Old Skuli) to the islands of Lundey and Akurey. Going in search of the island’s puffins, the islands are only fifteen minutes away from the city’s old harbour. 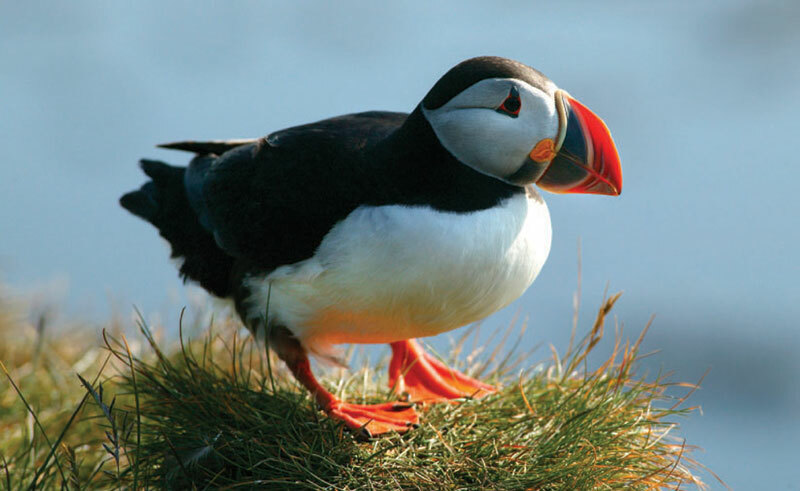 Iceland is home to the world’s largest population of puffin, who gather here every summer in order to breed before returning to their home on the sea. These two islands are covered with small hills and slopes and both are well known for their colourful birdlife. Joined by an experienced birding guide, the Old Skuli is specialy designed to take the rocky shores of these islands and you are able to get up close to the cliffs that provide a home for many species of bird. While visiting you may also spot northern fulmars, gulls, Arctic terns and black guillemots. Binoculars are provided on board. Maximum 35 participants.